SoundCloud is a social music platform that anyone can use to share and listen to music for free. If you’re already familiar with other popular social networks like Facebook and Twitter, you can think of SoundCloud as a similar type of service, but for music enthusiasts of all kinds. Home: This is your personalized news feed, showing tracks posted and reposted by other SoundCloud users that you follow. Give any track a listen, repost it, like it, add it to a playlist or start a track station all directly from within your news feed. Search: If you're looking for a particular user or track, you can use the app's search function to find exactly what you're in the mood to listen to. Collection: This is the tab where you can access all of your likes, recent stations, and playlists. You can also see your profile by tapping the three dots in the top right corner. Music player: This tab will appear when you start playing a track. It allows you to easily access whatever you're currently listening to while you're browsing other tabs in the app. Stream: From the home tab, you can tap the arrow at the top labeled "Stream" to quickly browse through what's trending in music and audio. You can also browse through different music genres and forms of audio content. Follow users you like to discover new music. When you click on a username, you'll be taken to their profile to see what they're posting and what playlists they have. You can follow them as you would on any other social network, and the tracks they post or share will show up in your home feed. Create custom playlists. When you hear a track you like, you can tap the three dots on it to add it to any one of your playlists. You can create as many playlists as you want that are public for other users to enjoy or private just for your own use. Start a station to hear a series of similar tracks. When you don't have the time or patience to carefully pick out the tracks you want in your own playlists, you can simply tap those three dots on any track you like to have the app play a station with tracks that are similar. And you can always access your most recent stations from your profile. The SoundCloud mobile app has a clean look that's easy to use and doesn't overwhelm you with too many features. Despite this, some users may be wondering how they can do more. Here are some extra features you can do on SoundCloud when you sign in to your account on the web at SoundCloud.com. Download or buy tracks. On the web, some tracks may show a "download" or "buy" link beneath them beside the share button, which is not visible on the mobile app. Many tracks are downloadable for free and purchasable. Upload your own tracks. SoundCloud is social, meaning that anyone can upload their own music or audio tracks. At the moment, you can't upload music from the mobile app – you have to click the "Upload" button at the top of the page via the web version of SoundCloud. Message other users. It's somewhat odd that private messaging isn't currently supported on the SoundCloud app, but perhaps that will change with future updates. For now, you can only message other users from the web. Join and participate in groups. 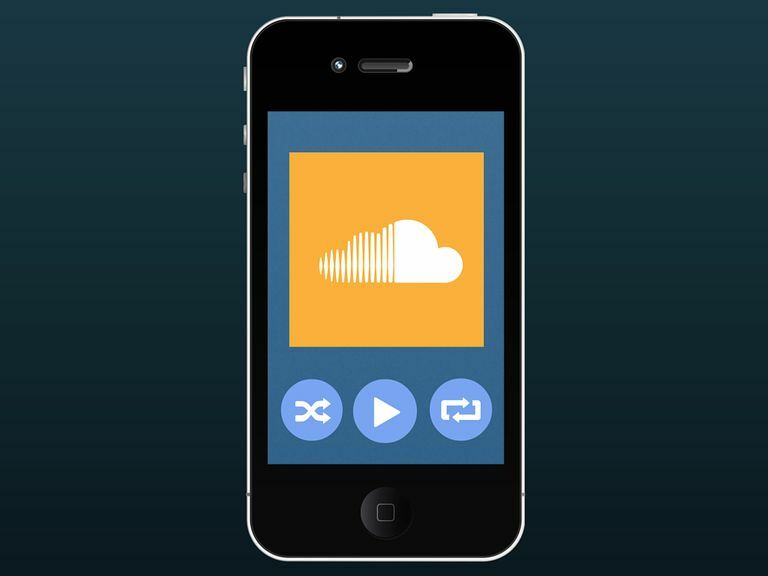 You can join groups on SoundCloud where users can share enjoy their favorite tracks. To access the groups you've joined, simply click on your name on the web version and select "Groups." Receive notifications from users who interact with you. Just like so many other social networks, SoundCloud has a notification center in the top menu of the web version where you can see who has recently followed and interacted with you. If you want to discover and listen to free music, SoundCloud really is a must-have app to have installed on your device. It's one of the few free music services that really puts the social component into the listening experience.